The onsale date will be announced soon. This is the interview we've been telling you about. The New York Times interviewed Cheech & Chong when they were in town a couple months ago doing press and promoting their Westbury, Long Island performance. This interview was to be published to coincide with their huge sold out performance this Saturday at New York's Radio City Music Hall. They also have audio from the interview. Tickets for the following Australia tour dates go onsale Monday February 2nd at 9AM local time. Tickets for each Australia date is sold by a different ticket company. Click on the appropriate link at the top of this page. The infamous outlaw Bobby Capps saw the Cheech & Chong: Light Up America tour last night in Sacramento, California. What a night! The energy coming off the crowd was so intense you could barely stay coherent to what you were thinking. Sacramento Memorial Auditorium was pure pandemonium when Shelby Chong hit the stage. I was up in Cheech and Chong's dressing room with my partner and lover, Ann, when I could here the roar. There wasn't an empty seat in the house. I watched and listened as the crowd bared non-stop laughter. If any silence came from the stage, no audience member was going to let it be so. As Tommy and Cheech performed one of their original routines "Let's Make a Dope Deal," a silence came over the crowd only for a nanosecond. From the darkness arose CHEECH AND CHONG RULE and the crowd went wild. One stoner fan got his 15 seconds of fame as Cheech and Chong continued to show just why they have been able to survive so long. The bad boys with the big pipe loads of laughter thrilled a packed house. Cheech Marin's magnificent wardrobe changes was like a Superman Clark Kent phone booth event. In and out he went back stage to get ready for his next segment of the show. First him, then the astronaut, the old lady, then Red, Pedro's cousin. Last but not least, the tutu from the rock fight at the Roxy. Cheech was like flash Gordon on steroids. Cheech's dress up as an old lady looked like someone's grandmother. I'd hate for her to pinch my cheek and want to give me a great big kiss. Shelby Chong's finale with Tommy in their own version of dancing with the stars was a sensational hit. I can only say that this was one entertaining show. I didn't hear or talk to anyone whom thought it wasn't worth the ticket. I have to tell you this outlaw had the best time talking a visiting with Cheech and Chong and Shelby and I now truly believe in my lets get high heart that Shelby is now and has been a full-fledged member of the Cheech and Chong phenomenon. The only issue we saw was some Pirates selling phoney Cheech and Chong shirts outside the theater. I will say Cheech and Chong now know you're there and you may just be getting busted by Officer O'Maley if you continue to steal copy written materials from behind curtain number two. 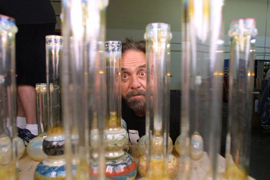 So for all you Cheech and Chong fans out there a video of the night and the announcement of a Cheech and Chong collectors dream, will be coming very soon. Please return for your chance at a plethora of goodies autograph and auctioned off to the highest bidder. 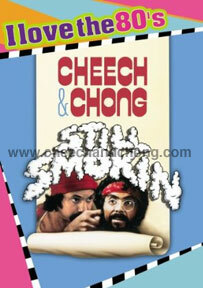 Charity auction for autographed Cheech & Chong items begins in one week. Another cool video. Fandemonium connects Cheech & Chong with their biggest fan. From E! News. Tommy Chong Munchies Across America Part I. The April 17th Cheech & Chong: Light Up Australia shows at the Melbourne's Palais Theatre go onsale this Monday, February 2nd at 9AM local time. Click on the Purchase link above. Cheech & Chong are going to Light Up Australia this April. That's right! The tour that's been selling out all over America and Canada is coming to Australia. Tickets will be available on the Ticketmaster Australia site. Seven Days Til Radio City!!!! 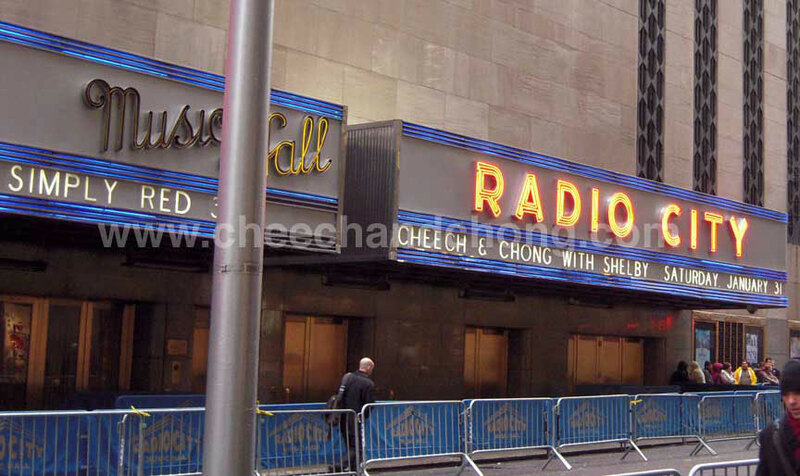 One week from today, the Cheech & Chong: Light Up America and Canada tour comes to Radio City Music Hall in New York City. This is going to be a very cool show. There will be LOTS of celebs in the audience. LOTS! There are a few single seats left so when you do the ticketmaster search, only select one ticket. Otherwise, it won't find any matches. Cheech and Chong backstage at the South Beach Comedy Festival talk about food and bong water. Spinner's interview with Cheech and Chong came out today. When asked if this will be one of many farewell tours, Tommy said "No [laughs], this is probably the first and last, because we'll probably get an offer for a movie and go back into movie mode." It's a brief, but good interview. The Cheech & Chong: Light Up America and Canada tour keeps selling out show after show after show. They have just announced they are coming to Casino Rama in Orillia, Ontario, Canada on April 9th. Tickets go onsale Tuesday, January 20th at 12PM. Click on the "purchase tickets" link above. The Cheech & Chong: Light Up America San Antonio, Texas onsale date has finally been announced. Tickets go onsale Friday, January 23rd at 4:20 local time. 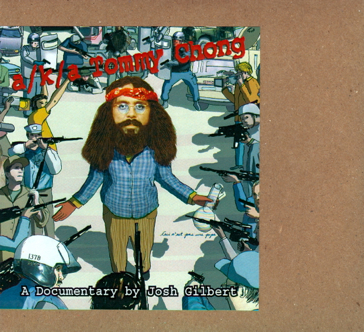 These two shows will be filmed for the Cheech & Chong: Light Up America DVD which will be released later this year. On January 6th, Cheech Marin joined Los Angeles Mayor, Antonio Villairagosa, for the launch of LA Arts Month. Akemi Kikumura Yano, president and chief executive of the Japanese American National Museum was also on hand (left of Cheech in vidoe). While on stage, she confessed that she had played the role of TV reporter Toyota Kawasaki in Up In Smoke. Toyota was reporting by the Mexican border while the nuns were getting busted. Cheech & Chong did a lot of press this week promoting their upcoming shows. Here is a brief rundown and links to the articles. Be on the lookout for even more press within the next two weeks because they'll be in New York City for their show at Radio City Music Hall. The New York Times is even doing a feature on them. St Joe News, Saint Louis. Really funny interview by phone. Cheech and Tommy were cracking themselves up. When asked about future projects, Cheech said "There’s probably a movie, a TV show we’re looking at. They’re animating our early record bits. There’s a DVD from our show that’s gonna be out. And, I don’t know, some other things." Separate interviews by phone with Cheech and Tommy. "We're going to keep going until we're 105 and need a total body transplant," says Cheech. St Louis' Playback magazine interviewed Cheech & Chong who were promoting Sunday's shows at The Pageant. When asked if there will be another Cheech & Chong movie, Tommy Chong commented "If everyone is good and they eat their cereal and listen to their parents, we're gonna make another movie. But if they act bad, we're not gonna do it." The 7PM show is sold out, but there are still seats available for the 9PM show. TMZ filmed Tommy and Shelby Chong arriving at LAX. The camera man accidentally calls him Cheech. When Tommy is walking through security, he pretends like he's swallowing his stash (ala Up in Smoke). Make ’Em Laugh, the 6 one hour episode series on the history of American comedy premieres this Wednesday night on PBS. More than 90 comedians including Roseanne Barr, Carol Burnett, Sid Caesar and the Smothers Brothers are interviewed in the series. Sorry, folks. The San Antonio, Texas ticket sale date has been postponed. We will notify you when we have the new sale date. Precious Chong, Tommy Chong's daughter, stars in the play 'Bad Dates' this Saturday in Gimli and Monday in Eriksdale, Canada. Precious portrays Haley. More Cheech & Chong: Light Up America shows go on sale tomorrow at 4:20PM local time. Cheech Marin's beautiful house in Malibu is up for sale. The price has just been lowered from $3.9 to $2.95 million. "It's a 3,400-square-foot Craftsman-style home with four bedrooms, 3 1/2 bathrooms and wide ocean views. The second-floor master bedroom suite has a fireplace, spa, steam shower and balcony overlooking the Pacific. There are three fireplaces, custom woodwork throughout and a spacious country kitchen. The property has direct access to a sandy beach as well as a landscaped yard." Update: Here is the press release from Paramount including the CD track listing. The films include several of the studio's biggest blockbusters, as well as some you may not have seen in a long time (if ever), so consider exploring the "80's" once again with this large collection. Today, Cheech Marin joined Los Angeles Mayor, Antonio Villairagosa, for the launch of LA Arts Month. Akemi Kikumura Yano, president and chief executive of the Japanese American National Museum was also on hand. While on stage, she confessed that she had played the role of TV reporter Toyota Kawasaki in Up In Smoke. Toyota was reporting by the Mexican border while the nuns were getting busted. 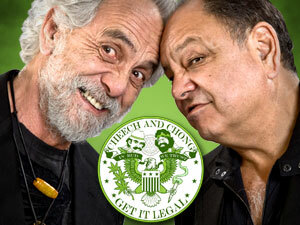 More Cheech & Chong: Light Up America shows go on sale this Friday at 4:20PM local time.